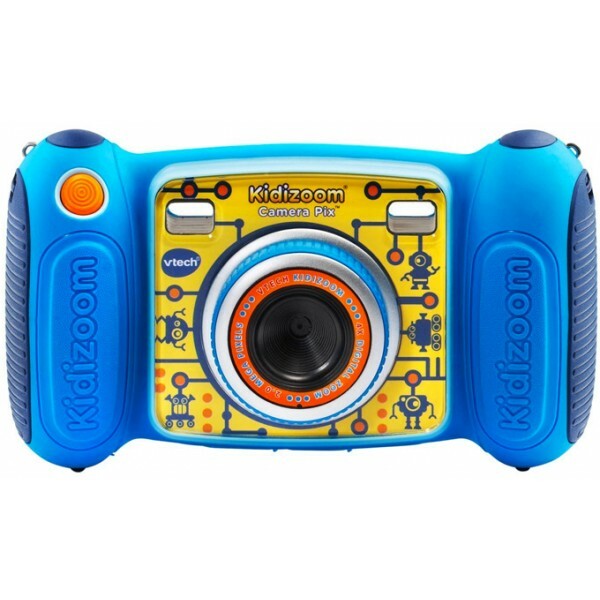 Smile and say "cheese"! 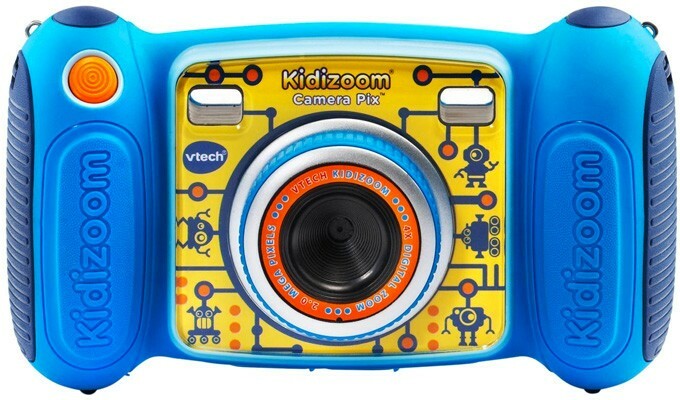 With 4-in-1 endless fun, the Kidizoom 2 megapixel Camera from VTech allows your child to become an instant photographer and movie director with the press of a button. 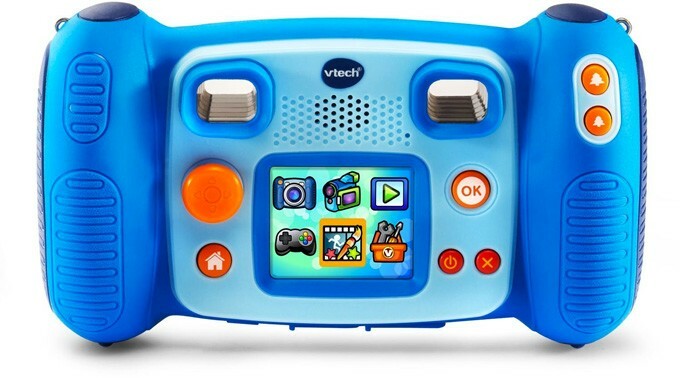 Your child's creativity will come alive as they learn to take and edit their photos with wacky effects, or use the 4X digital zoom to get that perfect close-up. 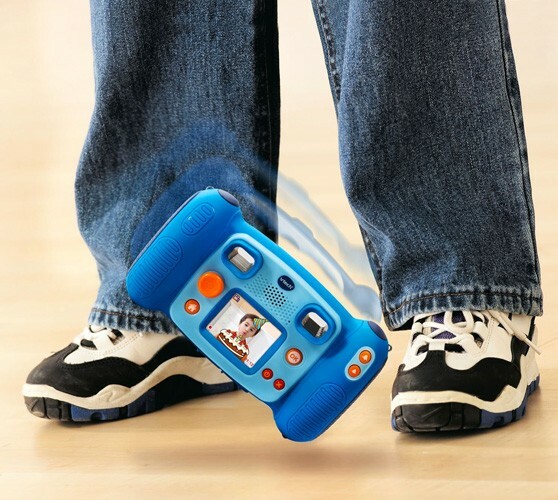 They can also shoot their own video movies or play 4 cool games right on the camera. 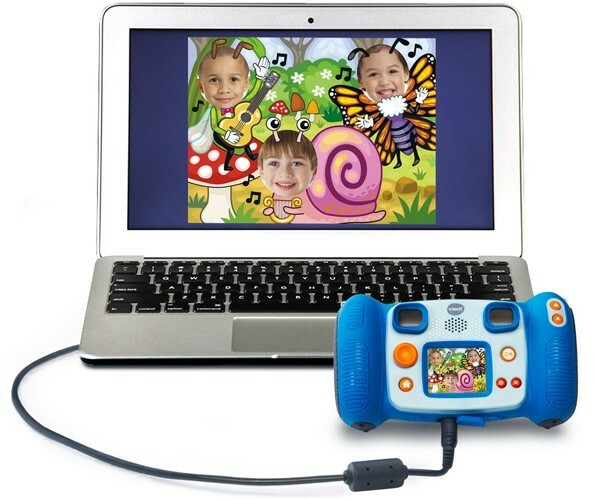 With built in memory, a MicroSD expansion slot and the ability to connect to a computer, your child can easily keep all of their creations so they can be treasured forever.